As we launch into a new year, I look back at my highlights of 2015. I hope you are all enjoying a little time off, and have had a great end of 2015, with plenty of fine chocolate. As the year ends I am again looking back at a year of stunning chocolate, wonderful things to taste, new makers, new flavours, and a thriving and growing global scene. Things just get better year on year. The future’s bright. Who knows what 2016 could bring! Best Dark Chocolate: Thanks to the ever increasing number of excellent entries for the plain dark/origin bars at The International Chocolate Awards, I can attest that the ranks of chocolate makers are an ever growing band of brilliant creators. 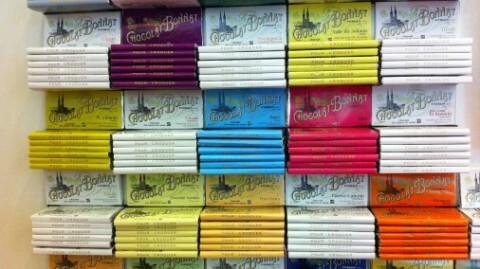 With countless awards, and a list of 75% single origin bars all of which are a fine treat, French chocolate maker Bonnat is a master of the art. 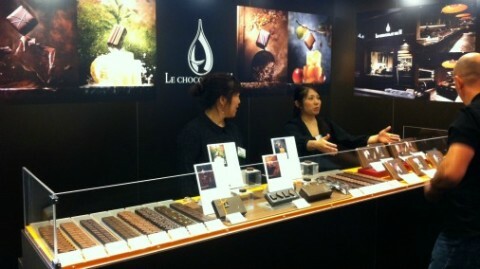 I was particularly excited by their Haiti bar, and a new Madagascan 75% that is 100% Criollo. World beating milk chocolate from Cacaosuyo. 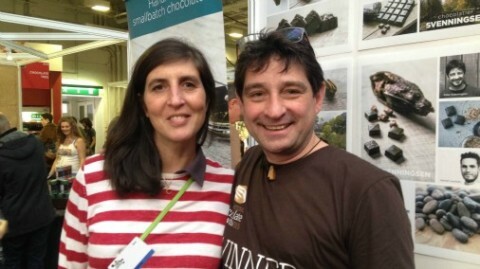 Best Milk Chocolate: Bursting into international chocolate connoisseur’s must-have list, Peruvian chocolate maker Cacaosuyo won gold at the world finals of the International Chocolate awards for the best milk chocolate in all categories. A 50% Piura, it is fruity, interesting, full flavoured, and with all the creamy comfort a milk chocolate should have. A very worthy winner. Superb and intriguing flavour combinations from Chocolat de H.
Best White Chocolate: For a plain white chocolate I still like Original Beans vanilla-free Edel Weiss best, with it’s pure taste and not-too-sweet creaminess. But I had to mention Chocolat de H, a thrilling new discovery from Japan, all of whose chocolates I have been truly excited by. Their combinations of Eastern flavours with fine creamy white chocolate are simply delicious. Their white chocolate bar with yuzu is a taste and textural treat. Such sensitive flavour pairing from Matthieu de Gottal. 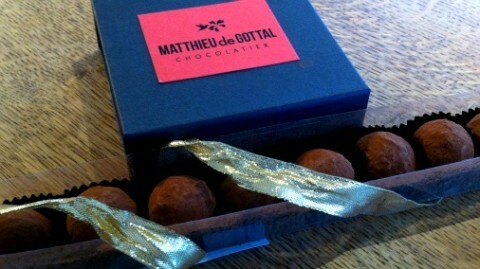 Best Flavour Combo: Cotswolds based chocolatier Matthieu de Gottal has a great passion for whiskey. His whiskey and chocolate pairings are a superb masterclass in both his passions and the magic they can make combined. Each chocolate in his whiskey pairing collection combines a different fine chocolate with a perfectly compatible and intriguing whiskey. The pairings bring out the best in both. A discovery worth making Winchester Cocoa Company. Best New Discovery: This has been a great year for new talent. 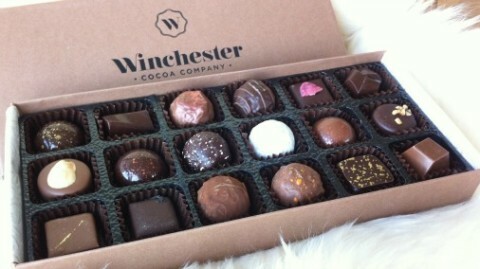 In the UK the Winchester Cocoa Company is a delight. Their well crafted, fine flavoured truffles and bonbons are consistently interesting and delicious. 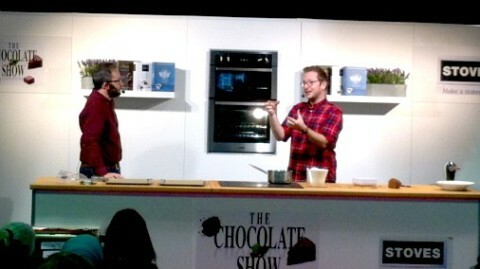 Edd Kimber on stage at The Chocolate Show, London. Best Event: The Chocolate Show in London goes from strength to strength, with a fantastic programme of demonstrations alongside a wonderful collection of national and international chocolate makers to taste and buy from. 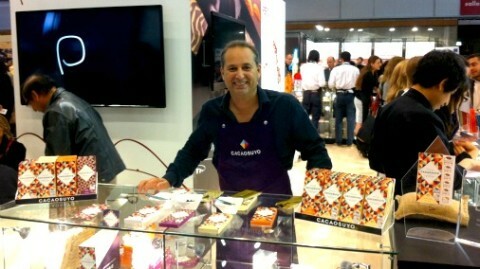 Peter Svenningson, a quite brilliant chocolatier. Best Chocolatier: For me Peter Svenningson is one of the most exciting chocolatiers on the global stage. Working with couldn’t-be-bettered chocolate from fellow Dane Friis Holm, Peter’s work has a purity that is a joy to taste. With ingredient choices led by what is seasonal, and often what is growing in his own backyard, Peter is precise and thrilling with his respect to both the fine chocolate he uses and the flavours he pairs them with. 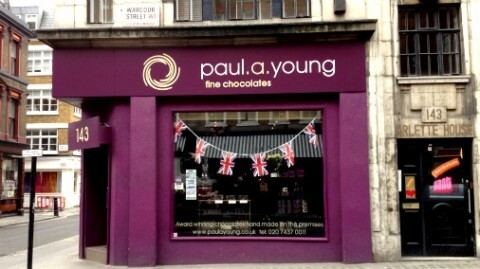 Best Venue: With his London shops filled with an ever changing menu of tempting treats, Paul A Young is always worth a stop, or a pilgrimage. Stocking other interesting chocolate makers, seasonal collections, to die for brownies and hot chocolate, and of course those fantastic truffles and bonbons, all the shops are a chocolate lovers dream destination. Mastery of the chocolate dessert by Sarah Barber. Best Chocolate Dessert: Or rather chocolate desserts, plural! 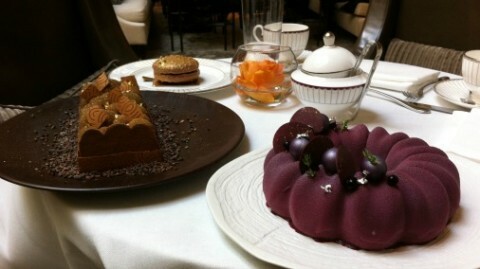 Sarah Barber stunned me with a veritable feast of chocolate dishes. 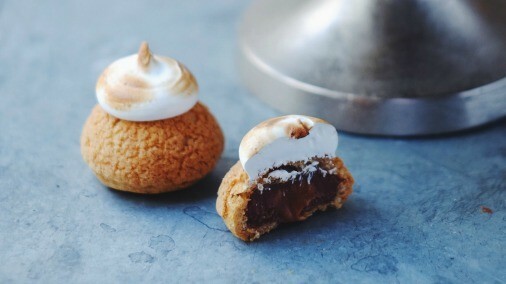 From afternoon tea cakes to multiple complex creations, Sarah’s combination of superb technique, great Valrhona couverture and an array of interesting flavour combinations make a visit to her kitchen an indulgent pleasure. 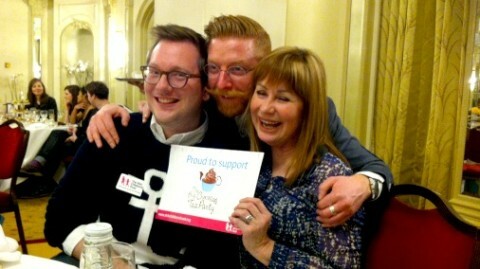 A great chocolate moment to remember, Paul A Young, Edd Kimber and Sian Lloyd lend their support to The Big Chocolate Tea Party. Best Experience: There have been many adventures this year competing for this title. The International Chocolate Awards has been an absolute joy to be a part of, as it gets bigger and better with every passing year. 2016 will be the fifth year, so watch this space for all the amazing things we will bring to light. But unforgettable this year was the launch of The Big Chocolate Tea Party at Grosvenor House Hotel. With the great support and chocolate know-how of Paul A Young, The Sick Children’s Trust organises this annual initiative. Add in the delicious contribution of Edd Kimber (whose choux buns top this feature) and the ever delightful Sian Lloyd. By encouraging people to host chocolate tea parties up and down the country they raise money for this exceptional charity. The event itself allowed us a heart-rending discovery of the amazing support the charity gives to families of sick children. It was very special to find out about this charity, and I hope to support them myself this year. So again, watch this space. What a list of glorious things to taste, talented people to seek out, and events to look forward to! I hope you enjoy my top ten of 2015 and they enrich your 2016!